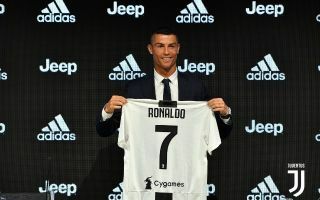 Cristiano Ronaldo has spoken about his move to Juventus this summer as he starts a new challenge in Italy. The Portuguese superstar has enjoyed glittering spells in England and Spain and has built quite the trophy collection on his travels. As of this season though, he’ll look to conquer Italy next, and given Juventus have won seven straight Serie A titles, there seems to be a good chance that Ronaldo will add to his collection. Nevertheless, he will undoubtedly keep that hunger and determination to be the best to ensure that his time in Italy is a success, and he has revealed why it was Juventus who were able to prise him away from the Spanish capital this summer. “Why did I choose Juve? It’s a great club, first of all,” he told Juventus TV, as reported by Calciomercato. “Since I was a child I knew this team and I hoped that one day I could play for them. And I will do it, in one of the most important clubs in the world. “Juve is the most important club in Italy, one of the best in the world. It was an easy choice because Juve is an incredible club. Ronaldo bagged 44 goals in 44 appearances last season to show that there is no real decline in his play, despite the fact that he turns 34 next year. However, while he will of course make an impact domestically to try and extend Juve’s dominance, he has ultimately been signed to also help end the club’s long wait for European success which now dates back over two decades ago. Given his pedigree and experience in the Champions League, he’ll be hoping to be the catalyst that helps Juve achieve their objective. Coupled with the re-signing of Leonardo Bonucci this summer, the Bianconeri appear to be in a ‘win now’ mode, but time will tell if it goes to plan.